HVAC Schools in Virginia Beach: Are They Really Needed to Start a Career in HVAC? Shipbuilding is big business in the Virginia Beach area, with several busy shipyards headquartered here. These shipyards offer numerous opportunities for employment, including installing fiber optic cable, pipefitting/welding, and HVAC installation and repair. An HVAC technician can generally find employment year round, working on air conditioning, heating and ventilation systems in homes or in businesses and industry. There’s the added benefit that wherever an HVAC technician chooses to live, there’s likely to be work, as almost every business and home has some kind of HVAC system these days. If this sounds like the kind of opportunity you’re looking for and you’re located in the Virginia Beach area, or thinking of moving here, you may be wondering about how to get trained as an HVAC technician. There are two basic ways you can get training in HVAC. You can sometimes get hired as an apprentice, even if you have no training, but you’ll be starting out on the lowest rung at entry-level pay. The other path is to enroll in HVAC courses, either at a community college or at a technical school. Even if you decide to get an entry-level job while you’re studying, you’ll have a small advantage in that you’ll have some training, which can make your on-the-job experience smoother, and possibly even help you get a pay raise sooner. 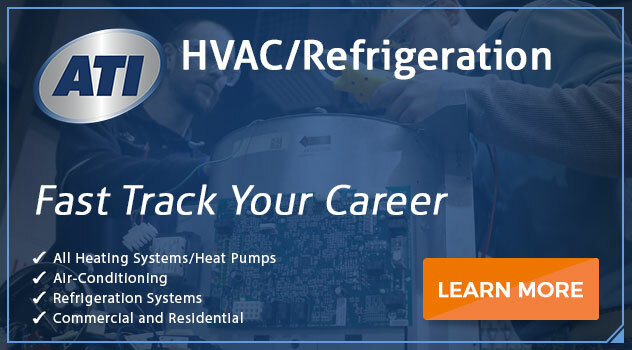 You may have heard from some persons already working in the business that there’s no need for formal training in HVAC — that you can learn everything you need to know with on-the-job training. While that is true in some regards, be aware that you’re just learning one particular company’s way of doing things. You’ll learn to work on the brands they work on, and you’ll learn to do jobs the way they do them. 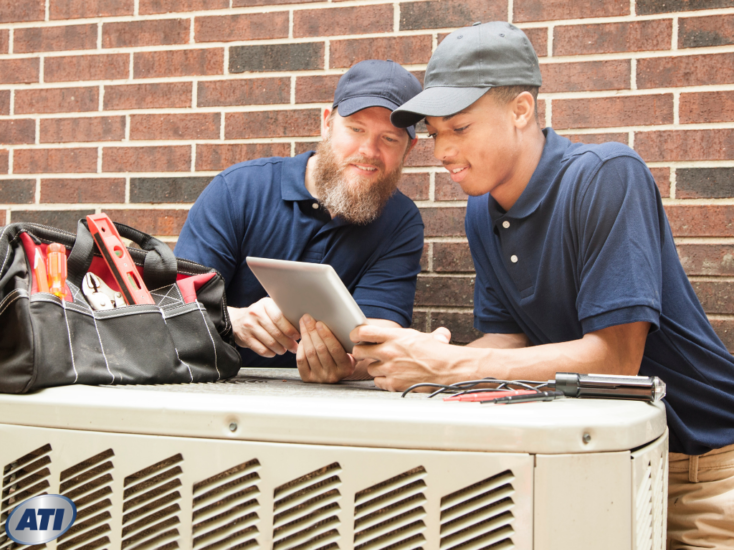 When you enroll in an HVAC program, you will get the broad spectrum of knowledge a well-rounded HVAC technician needs to succeed in the business. You’ll learn the foundation and basics of HVAC, including air movement, electricity, theory behind heating and air conditioning systems, ductwork, and many other aspects of the trade. Learning the trade in an educational setting can give you broad experience that will allow you to be more flexible when you’re thinking of making a job change, or moving up the career ladder. Learn proper safety procedures. Work in HVAC is governed by federal and local occupational safety laws. While some smaller firms may skirt the law, you’re wise to learn the hazards so you can avoid them for your personal safety, and, if some day you supervise other employees, you will already know the regulations pertaining to worker safety. In an HVAC program, you’ll have the advantage of classroom learning as well as laboratories where you will get to work hands-on on actual HVAC equipment. In a classroom setting, there is less pressure to perform, as happens when you’re on the job and someone is paying for a service. When you learn in a classroom, you have an opportunity to discuss issues you might not understand with your instructor, who should be a knowledgeable professional with the ability to clearly explain the course material, and with your classmates. Classroom learning can be beneficial in instilling lessons that might be difficult to absorb otherwise. By choosing an HVAC program in an up-to-date facility with state-of-the-art equipment, you’ll have an opportunity to learn some of the latest technology that has been developed for modern HVAC systems. For instance, in recent years, the emphasis has been on improving energy efficiency in the HVAC industry. An HVAC program can teach you how to provide more efficient HVAC solutions so that consumers can save money on utility bills. With this knowledge, you’ll he able to explain energy efficiency better so customers can make more informed choices about repairs, maintenance, and equipment installations. Learning HVAC in a classroom setting allows you to develop your communication skills by interacting with instructors and classmates, which can prepare you for the day when you have to deal with the public. If you opt for a program with a service management component, you should get a foundation in business management, employee relations, inventory management, communications, customer relations, financial reports and other skills that can help you climb the ladder as a manager, or even start your own business. Are You Ready for Your New Career? Earning an Associate Degree in Occupational Science in HVAC Technology with Service Management can open doors for you in the HVAC industry, whether it’s in shipbuilding, or any type of commercial or residential project. Contact Advanced Technology Institute today for more information. Previous PostHow to Get a Welding Apprenticeship as a Maritime Welder: Facts You Should Know! Next PostHVAC Basics: Are You Ready to Start Your HVAC Career? HVAC Basics: Are You Ready to Start Your HVAC Career? What Math Do I need to Know for HVAC Degree Programs in Norfolk, VA?